Surviving in any conditions is always a priority. No matter if you’re exploring the outdoors or got stuck in your safe room during a severe hurricane. In any of these situations your shelter can save you. While we won’t talk about shelters, we will still focus on your physical protection and care during unfavorable conditions. We’ll talk about the best survival blankets you can find on the market. Choose the one that appeals to you most and always have one emergency blanket in your safe room, or in your bug-out bag. Prices vary quite a lot, and you can find cheap survival blankets for about $10, or you can find those pricey ones for over $100 a piece. We will offer you the choice of all these varying products, so you can freely decide for yourself on how much you’re prepared to spend. 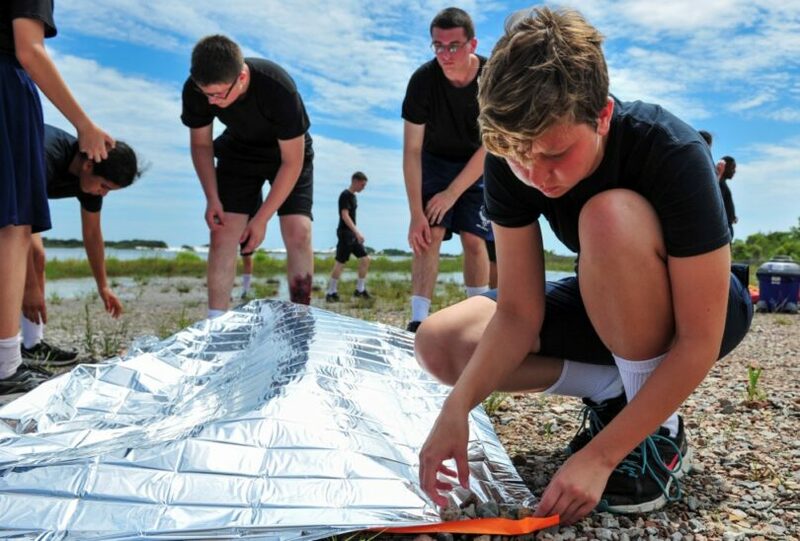 There are several types of survival blankets – from space blankets, to wool or fleece blankets. 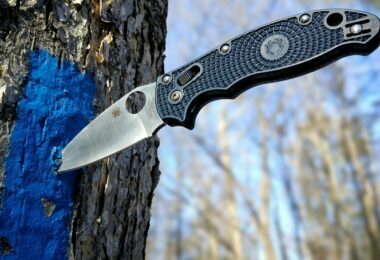 Make sure you have your wilderness first aid kits ready for any emergencies, click our article regarding this topic to learn more tips. 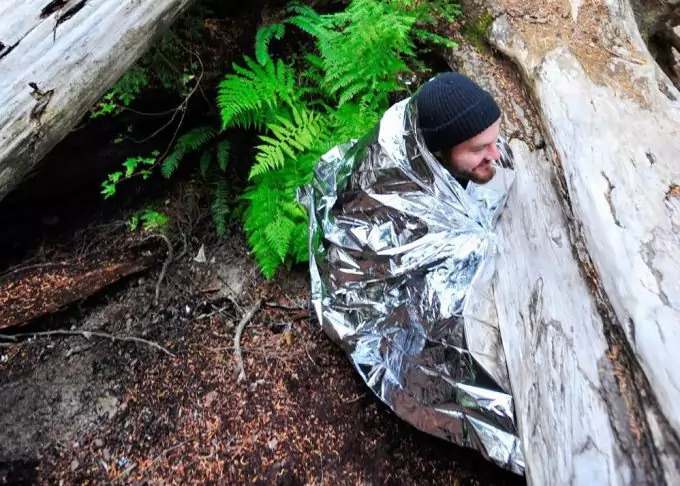 Space blankets are usually on the cheap end, but heavier. Wool blankets’ prices vary depending on how much wool is in it. These can be as cheap as $20 and as expensive as $200. Usually the more expensive ones are with the highest quality. And finally, fleece blankets can be much lighter and warmer than wool, but are not as fire-resistant as wool. They can also be on the cheap and on the expensive end, and again, the more expensive, the better the quality. For the best emergency blanket, see our article on this important topic to be enlightened. Here is a list of the warmest wool and fleece blankets which you can find and which other customers loved. This blanket is made of 80% wool, which means it is of higher quality than most such blankets, which contain only 50% wool. 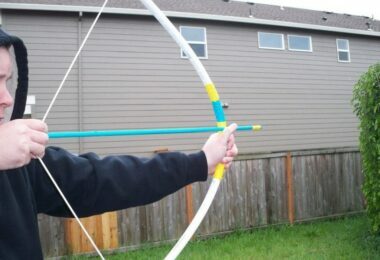 This increases it fire-resistance. This product has been used by the US military during harsh conditions. The blanket is indeed providing warmth and protection, but customers warn that it may have an unpleasant smell if you wash it in the washing machine. Most suggest to hand-wash it and use a wool wash in order not to damage the wool’s structure. Another thing to keep in mind is that, despite the useful features of this wool blanket, it is a bit heavier than would be comfortable carrying around. It may be far from suitable for hikers and survivalists. If you want to keep it in your car during the winter (in the hopes that it will save you in case of a storm while on the road), it is perfect. A final thing to beware of (according to some customers) is that after washing, the wool sheds and this may annoy you. Otherwise, the product is good for keeping really warm. This is a fleece blanket of high quality and is water and wind-proof. It is made of Polartec (R) Classic 200 fleece. It comes in different colors, so you have a choice whether you like it yellow or black. You can roll it snuggly in itself to make it more compact for carrying, but it is quite large when spread out – 58 inches by 84 inches (148cm by 213cm). It can be used even for two persons simultaneously. Just like with the wool blanket, you shouldn’t machine wash this fleece blanket in hot water. Use only cold water and don’t tumble dry. Almost all of the customers enjoyed a lot this blanket and claim that it is truly warm and protects them from bad damp rainy weather. It’s been used by a wide variety of customers – from soccer moms to hikers and campers. Now this is a truly heavy-duty Mambe blanket for harsh weather conditions. It comes as no surprise that the price of this blanket is also high (one of the most expensive). It’s again wind and water-proof and made of Polartec (R) Classic 300 fleece. This is the highest fleece quality currently on the market. The blanket has Primaloft (R) insulation and very good warmth-retaining capabilities and weighs very little. 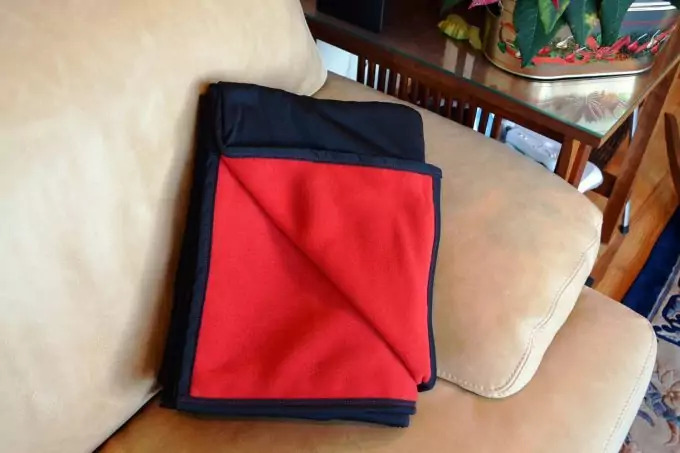 Thanks to it, the blanket can be folded in a compact form. Primaloft’s insulation is known to be used in survival gear by the most extreme climbers and mountaineers, in the most remote and cold areas, where the climate is unforgiving. And if all that is not enough, there’s also a Radiant Heat Reflective Lining to add more to the heat retaining properties. The size of this blanket is the same as the Mambe Essential blanket (above). The blanket also ships with a small convenient sack, where you can store your Mambe blanket. On top of all that, there’s a nylon rip-stop shell to ensure that no harsh weather or rough handling can damage or tear/rip the blanket. Some customers even used this blanket instead of a sleeping bag, during cold weather, and they still stayed warm. 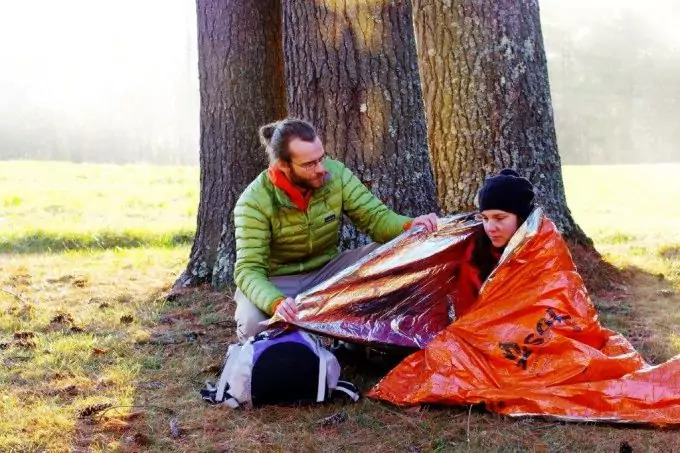 While most aluminum survival blankets aren’t necessarily costly and fluffy, they are considered the best among the outdoors blankets. These emergency Mylar blankets are very light in weight and are a standard in the field. They boast 90% body heat retention, with the size of a Mambe blanket (look above). These blankets can also fit in any emergency or survival kit, so they can be your first idea for a survival blanket. It is also very important to know how to properly use such blankets, as they are not made of organic or synthetic material, but of aluminum. Some people don’t use them properly and claim that the blanket doesn’t keep them warm. In order to make the most of it, you need to wrap it around you in such a way, that (cold) air can’t go in and warm air can’t escape. 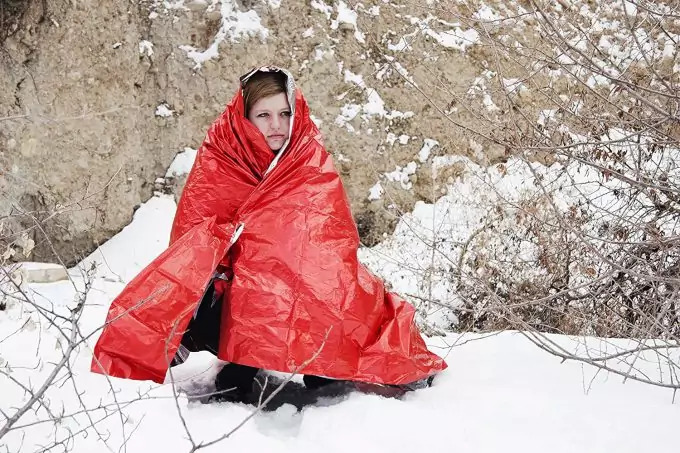 Your body radiates warmth and the main purpose of this space blanket is to retain this warmth so that you won’t go cold progressively and risk hypothermia. The blanket will create warm air pockets inside and make you feel warm; with time, even hot. You can have a pack of 10 and have one blanket in the emergency kit, one in the car, one or two for hiking/camping, etc. You shouldn’t go anywhere in the wilderness or travel far during the winter without such a blanket. The only thing you need to be aware of is that once you tear part of the blanket by mistake, it may tear all the way down and thus damage the entire blanket. You may have to substitute it, or purchase new one. Also, folding it in the same way it was folded out-of-the-box proves to be difficult for people, so once you fold it it may not be as compact as in the beginning. Finally, consider this blanket as an emergency basis. If you have to spend days using it (waiting for rescue, etc.) it may not be as effective in the long-run. You may need a second layer of blankets. Mylar blankets are for quick action in extreme situations. Don’t rely solely on them. This blanket is more heavy-duty than the regular Mylar blankets. It’s upgraded with grommets in case you want to use it as a tarp or shelter. It’s slightly heavier than the Mylar blankets (10 ounces) but you are given more options with it. It still retains 90% of your body’s heat (if used properly). It has a strong reflective surface, so if you’re in an emergency situation you can be located even if you’re miles away. It’s made of polyester rip-stop material to prevent any further damage if it was nicked or torn slightly somewhere on its surface. The reason why these blankets are called space blankets is because the technology behind them is used in space programs as well (which is where the idea originates). 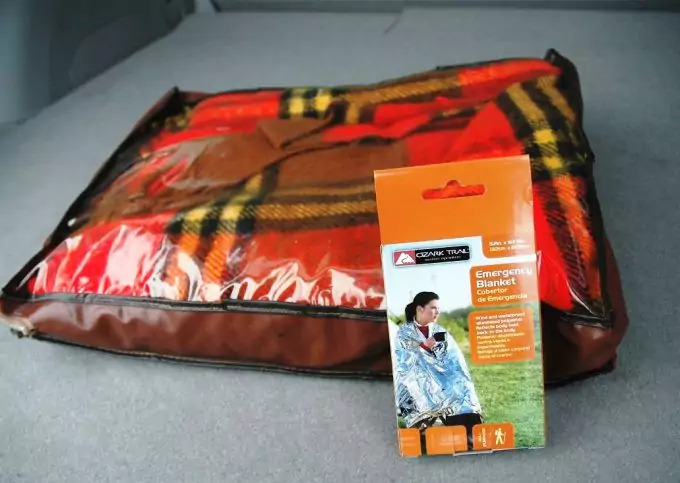 According to those customers who used this blanket extensively, they claim that (after using Mylar blankets) this StanSport Emergency blanket is one of the best choices they made. Some have used this blanket for 2 years and after that time it may have worn out and need replacement, but it has served its duty. Others have used it in their homes to save on electricity bills, by placing the blanket beneath their sheets. Keep in mind that it’s a slippery blanket and whatever you place on it will slip over. So, use the grommets to attach the blanket itself firmly. Another customer claims that the grommets ripped during stormy weather, but overall likes the blanket, as it does keep you warm. Yet another customer points out that the blanket is very quiet. This isn’t the case for most space blankets, so for StanSport’s blanket, this is a real plus. It’s true that this isn’t as silent as you want it to be, but it’s more silent than any other space blanket. So far, after all the positive reviews it seems that only the grommets may be slightly on the negative side, as they are weak and not reinforced, so if you use them you may have to expect that they rip off during stronger winds. Here’s another heavy-duty blanket for extreme and emergency situations. The difference of this blanket and the regular space blankets is that the cover shell (foil) is metalized, and as expected, reflects the body heat back to you (retention). This blanket can be used even to reflect the heat from a camp fire towards an injured person or someone suffering hypothermia. It can also be used as a tarp or shelter, as it has grommets. You can, by all means, use it to cover your sleeping pad, in order to preserve your body heat and keep you warmer than just with the pad. It seems that the Rothco blanket’s grommets are much more durable and heavy-duty than StanSport’s. Of course, if you expect to use it in really strong stormy weather don’t rely much on the grommets. Optionally, you can strengthen them yourself. As for the product itself, it’s only a metal foil and there’s no wool in it (which is written in the Amazon’s page), so keep that in mind. Otherwise, it’s also as quiet as a metal blanket can be – similar crinky noise as StanSport’s blanket. 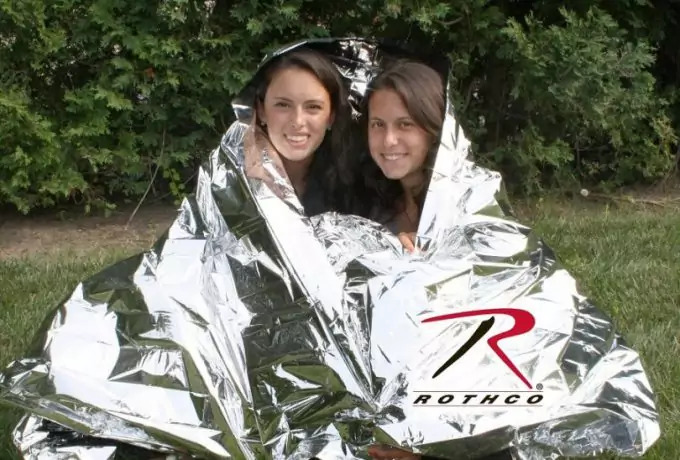 The Rothco’s blanket is light, heavy-duty and very durable product. Some customers though believe that the price is a bit higher than it should be. 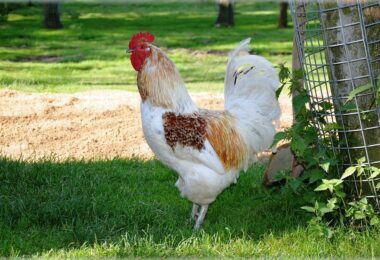 While it’s a strong product it still has it’s life and you may expect it to last a full season. Also, it can be folded back to a compact size much easier than a Mylar blanket. According to some customers you can extend its life by using it with care. 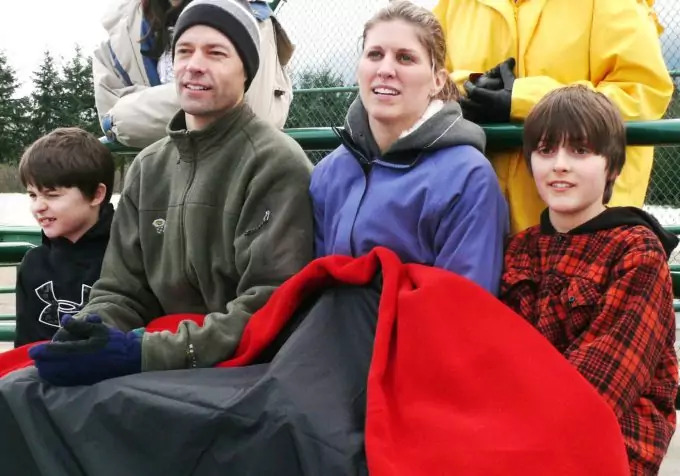 Of course, you can’t control the weather and strong winds may take their toll on the blanket (if used as a tarp/shelter), but if you use it as a blanket (since this is its sole purpose) you can be sure to have it available for more than just one season. You can of course use this blanket in combination with a wool or fleece blanket to keep warmer in much colder weather (it all depends on where you’re going or what your plans for the blanket are). This blanket is part of the space aluminum blanket series. As we mentioned in the introduction these are among the standard for survivalists, mountaineers, climbers, etc. This particular product barely weighs 3.2 ounces (about 90 grams). It is suitable for two persons, but there is a product for one person only, by the same manufacturer. 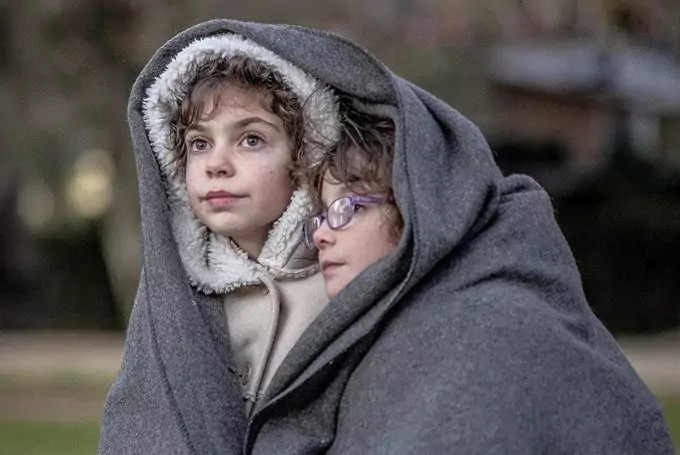 The material, which this blanket is made of, is vacuum-metalized polyethylene, and according to the manufacturer it retains 90% of the body heat. Compared to ordinary Mylar survival blankets this is a far better achievement. Another bonus is that the material can’t be shredded easily only because you punctured it or nicked in somewhere. It’s definitely one of the really durable space blankets currently available. Any rips or tears on the blanket are easily repairable. The blanket doesn’t crinkle annoyingly during strong wind or any movement on your part. The orange exterior of the blanket makes it easy to spot and this can be helpful for any rescue team after you. Another extra feature are the printed tips and techniques, right on the blanket itself. You can read them at any time you use the blanket and are in an emergency situation. Most people don’t control their memory during such situations and it’s easy to forget what is recommended to do. This is when these instructions can come so handy. Overall, customers are extremely happy with this product and claim that it had saved their lives many times in harsh conditions and that it did provide them even with shelter (during rain) and warmth (as advertised) in cold weather. This is one of the highly recommended items for your backpack or your emergency kit. Unlike the above survival blanket, this one retains less than 90% of the body heat. It keeps it up to 80%. Even if it’s lower than 90% it is still highly trusted by military, army and navy personnel. The material is almost the same as the above and employs vacuum deposited material in combination with polyester screen. It doesn’t allow any moisture or wind through its material structure. You can fold it so that it gets as small as a deck of cards. It’s small and light – 3.2 ounces. You can use it in virtually any harsh conditions. It can protect you also from rain and snow, and can even be used as a tarp when you don’t need warmth. Since this product contains 3 blankets, you can use one to isolate the rain and the other to stay warm. People are happy enough with this product and claim that it’s much better than other products they tried. Some claim that it may be hard to fold the blanket to its original out-of-the-box size once you used it, but it still remains a very light item in your backpack/kit. Spend some time to explore these options above. We hope to have delivered the most valuable and useful information for the above products to give you an objective overview. While the market is piled with survival and warm blankets, we hope that the above products summarize the best of the blankets. While some are regular and popular blankets (Mylar), others can be found on the high-quality end of the range. We hope this information will help you to make an informed choice for your emergency kit or next outdoors adventure. Check out our piece on disaster preparedness kit to give you more options and tips.